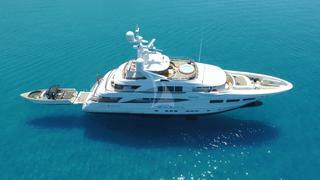 Built in 2010 by yacht builder Hakvoort, REVELRY (ex-SNOWBIRD) is an exceptional charter yacht perfectly suited to host an exceptional luxury holiday. 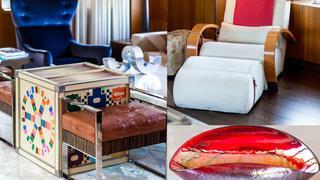 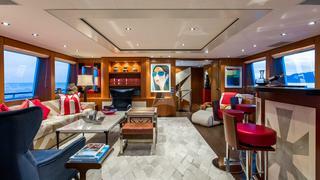 Indoors, REVELRY is an artist’s dream thanks to her Art collection. 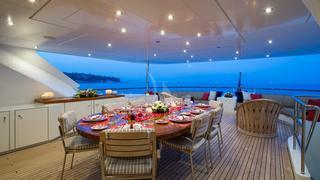 She also offers an open-air arrangement with modern styling. 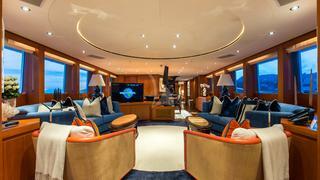 Her main salon flows beautifully into a dining area for 10, divided by a retractable TV and DVD player. 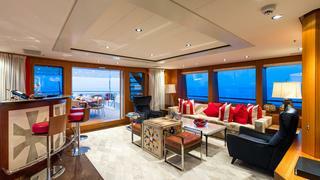 The sky lounge, found on the bridge deck, is an excellent entertaining and socializing space with a full bar. 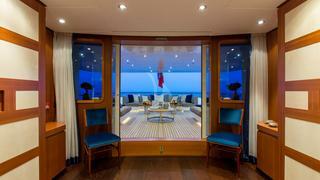 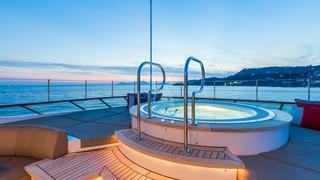 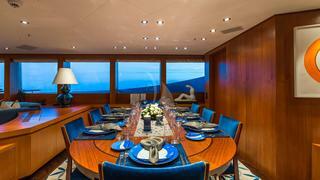 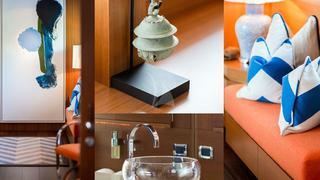 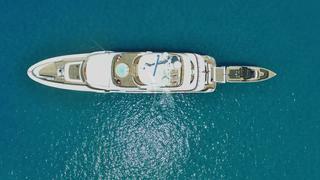 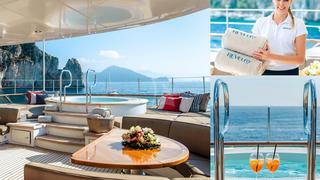 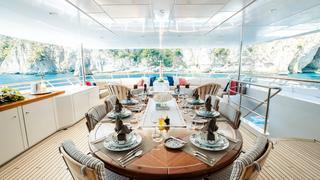 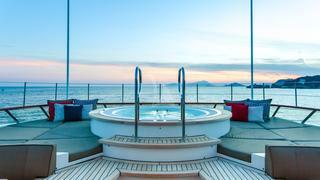 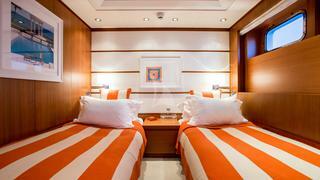 REVELRY is able to accommodate up to 10 guests in five exquisitely dressed staterooms. 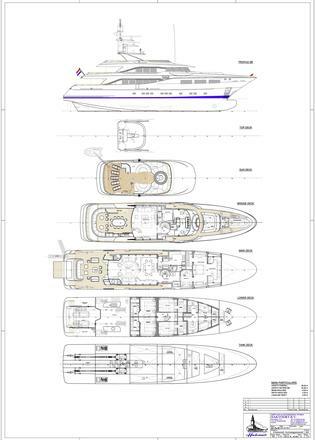 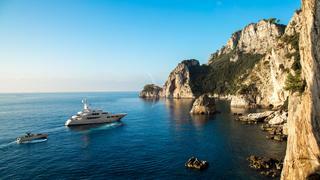 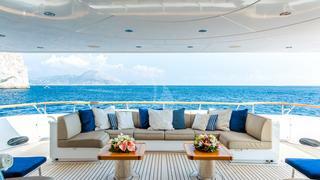 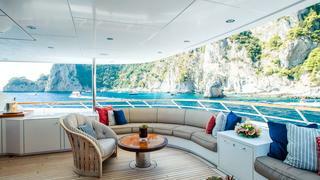 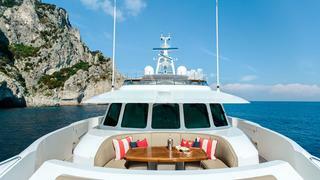 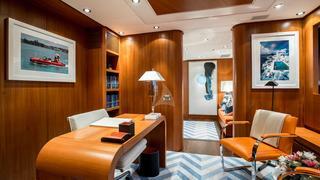 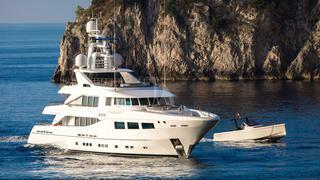 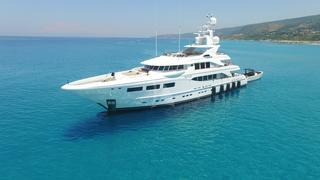 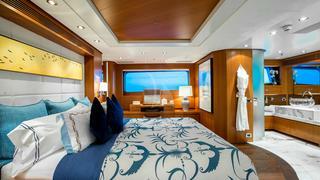 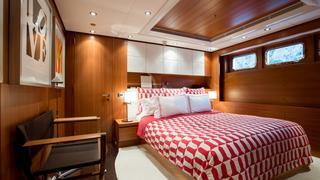 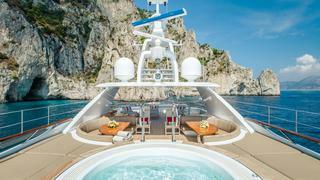 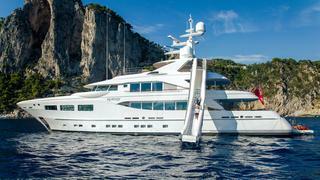 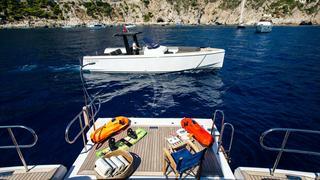 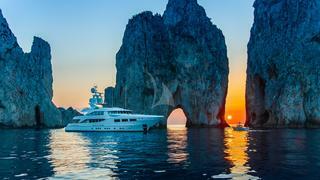 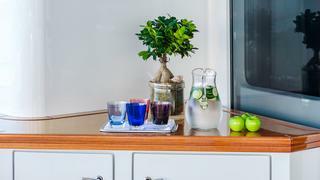 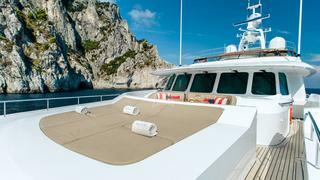 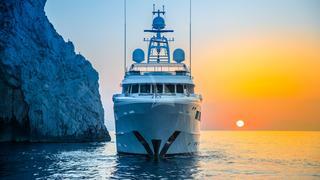 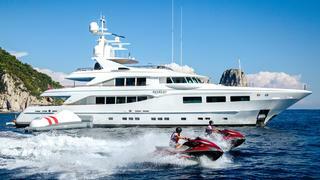 She offers a full-beam, on-deck master with a king-size bed and walk-in closet, as well as a study. 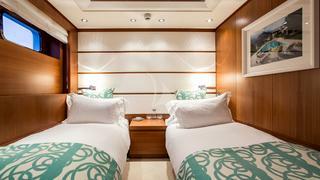 Four additional double staterooms are located below deck.